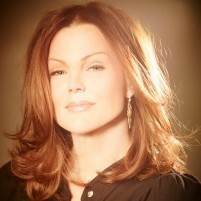 Belinda Carlisle, lead singer for eighties, all-girl pop group the Go-Go’s, headlines ‘Pride in the Plaza’ on July 12 with a concert at Mission Plaza in downtown San Luis Obispo. The all-day festival, also featuring popular local musicians Jill Knight and Proxima Parada, caps off three days of Central Coast Pride activities. The entire pride event is expected to attract large crowds and take on added joy with the recent Supreme Court ruling on gay marriage. Carlisle, whose career spans 35 years as both the popular Southern California quintet’s front woman and successful solo artist, is scheduled to take the plaza stage at 5 p.,m. Her dreamy, bubbly vocals helped spawn several catchy, hit singles like Mad About You, Heaven is a Place on Earth, We Got the Beat, Our Lips are Sealed and Vacation. Carlisle appeared locally with the Go-Go’s at the Chumash Casino in 2007 and 2012, but this will be her first solo performance ever on the Central Coast. Born in Los Angeles, she resides both there and in France. ‘Pride in the Plaza’ begins at noon on Sunday with an interfaith service, followed by live entertainment from 1:30 p.m. until 6 p.m. Get more information about the entire Central Coast Pride weekend on July 10-12 here. Wow! Belinda Carlisle still looks good. I’ve seen that look in divorce court. Indeed, she does still look great! Though, my favorite front-lady from the 80’s has to be Susanna Hoffs (Oh My! – little George Takei there for the pride folks).